Kenneth Cavander on translating Timon of Athens for Play on! For those interested in hearing what these translations sound like, Classic Stage Company in New York has just announced that it will present 39 readings from the Play on! project in summer 2019, in partnership with OSF. Our first Q&A on this blog is with Kenneth Cavander, who translated Timon of Athens (as the pilot play for Play on!) and The Tempest. 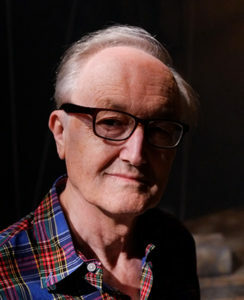 His translations were staged at Alabama Shakespeare Festival in 2014 and 2017 respectively. Read an introduction to the Play on! project by Lue Douthit, the project director at OSF. Why did you say “yes” to the project? Kenneth Cavander: A lot of reasons, too many to go into here, but one above all. Having been raised in England, nurtured on Shakespeare’s plays, worked at the Stratford-upon-Avon theatre dedicated to his memory, I had to confess that when I sat in the audience of a production, no matter how distinguished the company, the director, the concept – I still didn’t understand a good part of what was going on. Let’s talk about Timon of Athens since it was the pilot play. Where did you see yourself in the writing process in relation to the original text? As the latest writer on a script that already included at least three others – William Shakespeare, working from a story that had been dramatized before; his collaborator, Thomas Middleton, sixteen years his junior, an up-and-coming dramatist with a reputation for street-smart comedies; and the author of the previous version of the work they had adapted, whose identity has been lost. The two collaborators could not have been more different. Their Playbill bios today would look something like this – William Shakespeare (Hamlet, King Lear, A Midsummer Night’s Dream), Thomas Middleton (The Honest Whore, A Chaste Maid in Cheapside, Anything for a Quiet Life). 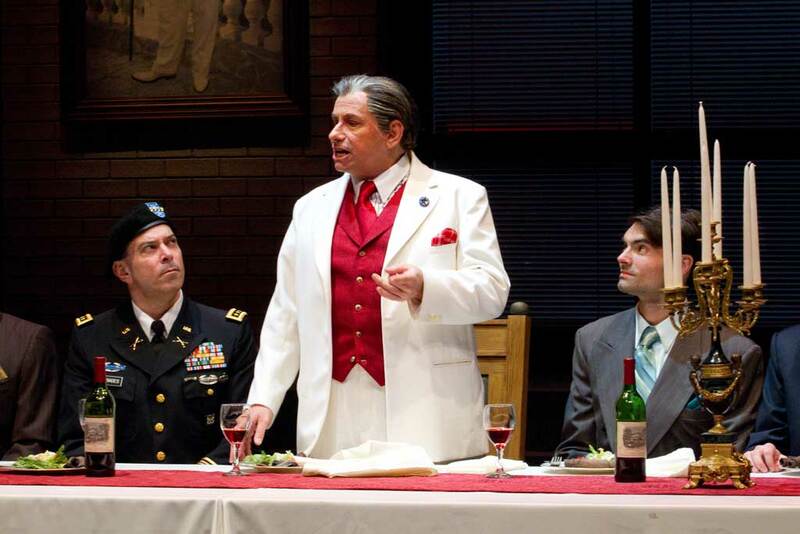 Brik Berkes, Anthony Cochrane and Christian Ryan in Timon of Athens (translated by Kenneth Cavander) at Alabama Shakespeare Festival, 2014. What was your first impression of Timon of Athens? My first impression, to be honest, was – what a mess. Head-swiveling changes of tone between slangy crosstalk and fusillades of insults and vituperation piled on each other like boulders … scenes intercutting between locations with cinematic swiftness … plot themes set in motion only to disappear into the undergrowth … the text more like a mosaic than a blueprint for a connected narrative –Timon of Athens is pretty much what you’d expect from two playwrights of different generations joining forces to do something topical and subversive, who then, for whatever reason – disagreements, more attractive offers, realizing they had bitten off more than they could chew – decided to part company and move on to the next project. A mess, but all the same a tasty one. Can you tell us more about the translation process? Becoming the third, or (who knows?) maybe the fourth or fifth writer on the story of Timon’s sad realization that he had been living a fantasy and his terrifying indictment of a whole society corroded and corrupted by money – that was invigorating. As every one of the translators in the Play on! project has found, there is no need to change every word. Much of the time Shakespeare and Middleton are as pungent and vividly clear now as they were then. And when they aren’t, there was the fun of trying to get into the same delirious frame of mind in which some of the language was originally begotten. Turn incontinent. Bankrupts, hold fast. I didn’t want an audience to miss a grain of the feeling behind this, but the years since the words were written had not been kind to their sense. Spread your legs for all comers. Bankrupt? Still and all, it was a balancing act, constantly making judgment calls about what would carry into an audience’s consciousness in performance and how far to go in making sure it got there. The only safe way to decide was to be courageous – take risks (as Shakespeare and Middleton had done) – and jump into the Abyss. 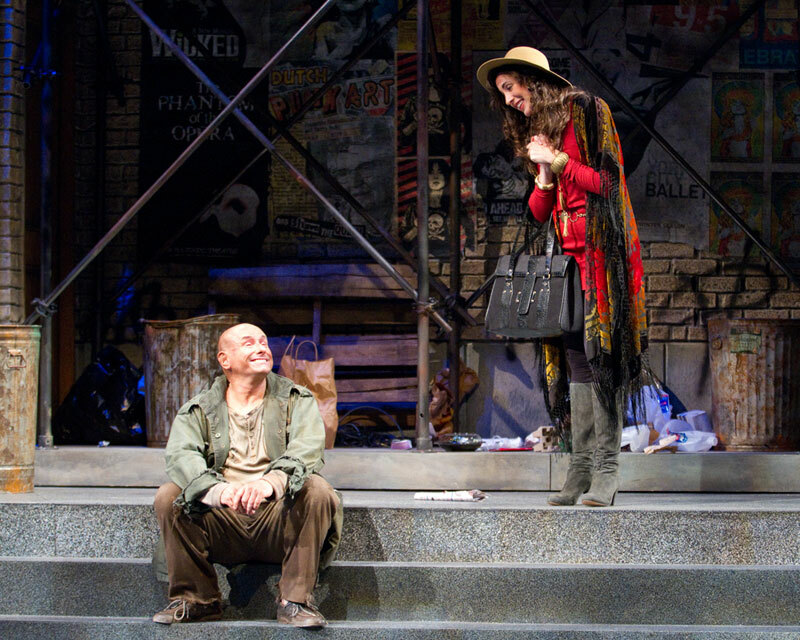 Anthony Cochrane and Alice Sherman in Timon of Athens (translated by Kenneth Cavander) at Alabama Shakespeare Festival, 2014. Looking back on it now, when the script went into rehearsal at the Alabama Shakespeare Festival, directed by Geoffrey Sherman, and when audiences laughed in the right places and gasped when they should, I realized that the thing had become a collaboration over centuries. But was it a translation? That’s not how I think of it. For my purposes, I think of Timon of Athens and the second play I worked on for the Play on! project, The Tempest, as ‘transcriptions’ – the way a composer takes a work such as a symphony and transcribes it for, say, the piano, as Liszt did with Beethoven. The instrument is different; the melody remains. What a ghastly idea. Destroying The Wonderful Mr. Will? As bad as Bowdlerization! But surely one of the main points about this is that a lot of the plays were collaborations, or the stories have been reworked by ‘Will’ or whoever else. No one is destroying the ‘originals’! I think it is a really good idea – perhaps you need to read the article properly. I have mixed feelings about such “translations” of Shakespeare. On the one hand, it’s understandable that theater companies wish to make Shakespeare more accessible–but is a translation still Shakespeare? Personally, I don’t think so. The OSF project aside, I believe directors are editing out more and more of the difficult words and phrases from Shakespeare productions. I would like to know in advance just how much the text has been altered before deciding whether to purchase a ticket. Here’s another way to make Shakespeare more accessible without “translating” plays: the theater company could post a “Words and Phrases” guide online for the play (it could even be done as an entertaining 5-10 minute video) for folks to review before coming to the theater.